Outdoor fun is really important to us. All the research shows that there are immense benefits for children that come from spending time outdoors. Children need to be outside everyday, in all weathers, where they can run, climb, jump and take risks they can't do inside. Children have a chance to discover the world they live in and, along the way, there are also lots of exciting learning opportunities in numeracy, literacy and cooperative play too. No cabin fever here at Bluestone, where we like to get outdoors with the children as much as possible – come rain, come shine! This is not just a place for the children to let off steam – free play is very important for children’s wellbeing - but also a place where we can bring learning to life in different ways to indoors. Outside the children get a chance to develop new abilities as they climb, run round or play on trikes and scooters, developing their physical skills. It’s not just about physical exercise though – the children love to explore and investigate the world around them. Planting seeds and searching for creepy crawlies and bugs is a huge adventure and offers so many learning opportunities. 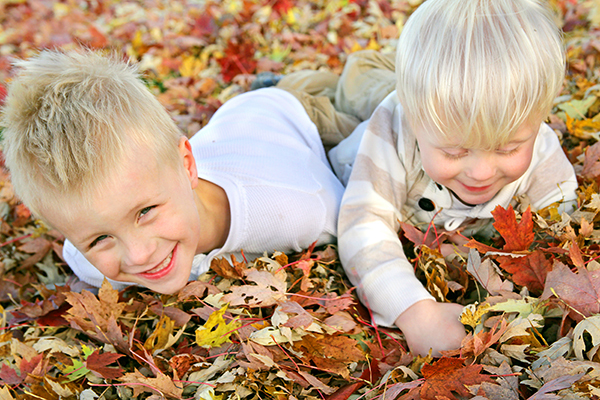 Being in touch with nature and the changing seasons, getting dirty and messy in the soil and leaves, making dens, playing games, taking risks all are part of our children’s outdoor experience. Calmness is important too and planting areas and cosy corners give the children the opportunity to still be learning, without really knowing they are. We make sure that the children have lots of opportunities to be creative and to use their imagination as they play so as to make being outdoors exciting and lots of fun.